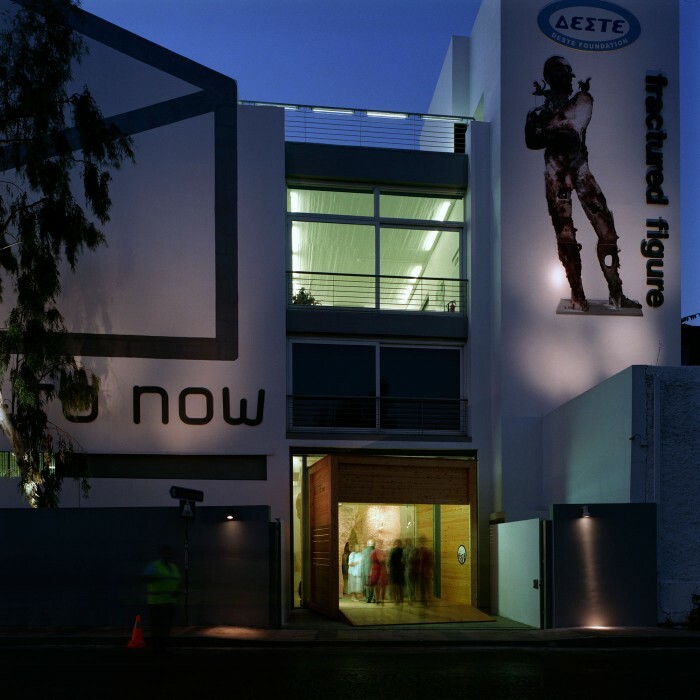 The DESTE Foundation for Contemporary Art is home to the most important private art collection in Greece. Alongside its permanent exhibition, the DESTE Foundation stages events and lectures that attract an international crowd of artists, curators and dealers. After a very successful beginning in the upmarket suburb of Psychiko in Athens, the DESTE Foundation made a surprise relocation to the off-beat, post-industrial landscape of Nea Ionia, occupying a derelict cement factory with minimal, almost imperceptible adjustments on the outside. We were invited to design the entrance to the building, which would have to convey its new character without being too imposing. 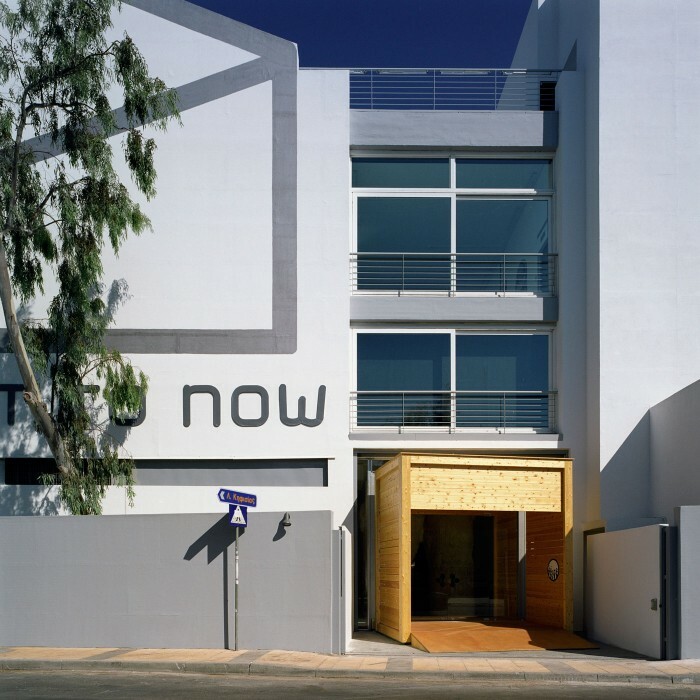 Given the gallery’s deliberately discreet appearance, this project called for a very powerful and original concept. Playing on preconceptions about how we relate to art, the entrance reconfigures the relationship between the ‘viewer’ and the ‘exhibit’ by inventing a narrative of entrance and exit and reversing the gaze. A large crate, typically used for the transportation of oversized art works, is placed in the doorway of the building, creating the impression that a new exhibition is being installed just as a previous show is being packed away. 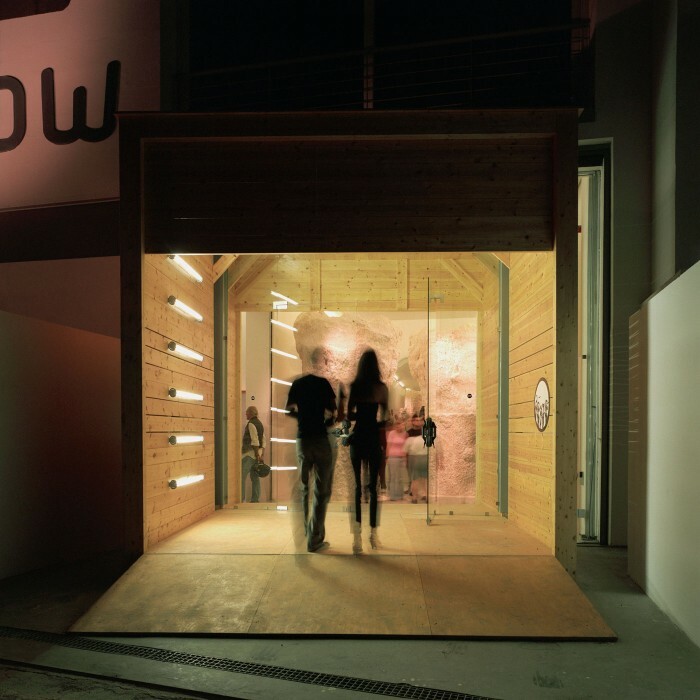 Due to its considerable size and tubular configuration, the crate becomes a threshold that leads into an even bigger ‘container’ of art – the gallery itself. 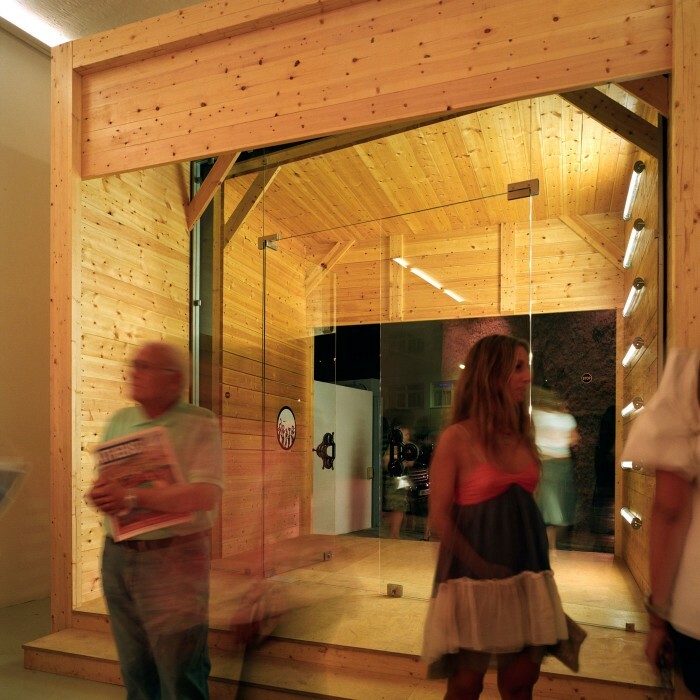 The moment of transition is prolonged and becomes clearly articulated, while visitors themselves become exhibits inside a glass display case. 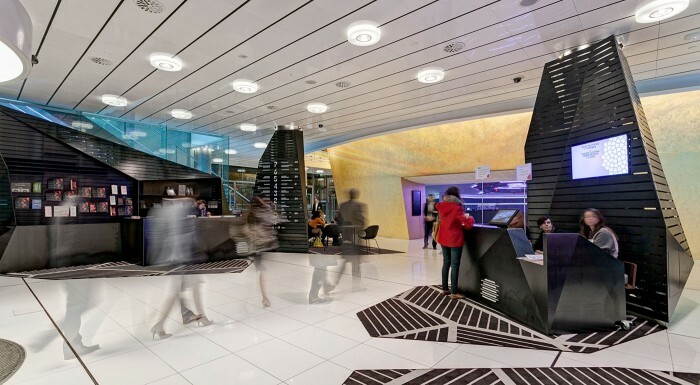 Blurring the line between art, architecture and stage design, the entrance to the DESTE Foundation is an example of how a creative architectural concept can be deployed on a very small scale, underlining the importance of discovery, surprise and experience.